The Chosen Few house music festival in Jackson Park. Chicago&apos;s summer calendar is jam-packed with high-profile music festivals, from Lollapalooza to this weekend&apos;s Pitchfork. But The Chosen Few, one of the city&apos;s bigger and longer-running music events, is still little known outside house music circles and the city&apos;s South Side. "We were here at 3:30 and by five o&apos;clock the line was about a block long," Taft Parsons said. That would be 5 a.m., by the way. 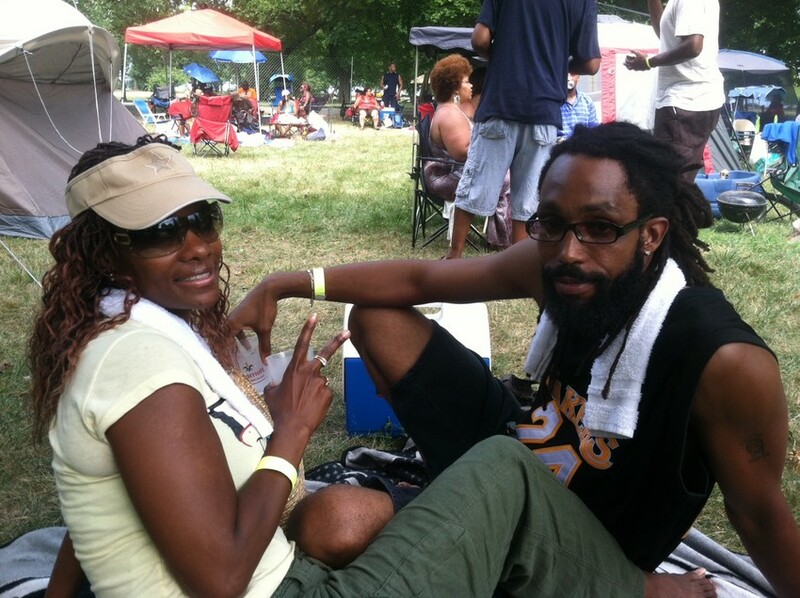 Parsons and his wife, Sherida, have been coming to The Chosen Few Old School Reunion Picnic for 12 years - since they were both medical students. The day-long house music festival takes place every 4th of July weekend in Jackson Park. Most attendees bring food and supplies and camp out for the whole day. This year the Parsons have brought a posse with them - 14 of their friends from Detroit, Mich. - four tents in all. "Yeah, we had to walk it in so we strategized and had our men do all the heavy lifting," Sherida Parsons said. "And the women, we just carried light bags. It worked out." Her husband said they come for the music - after all, Chicago is the home of house. "Chicago-style house music is very unique," Taft Parsons said. "It&apos;s different from what you hear in New York or Detroit. It has heavy disco undertones. So that&apos;s one of the things that makes it unique as a music festival itself." 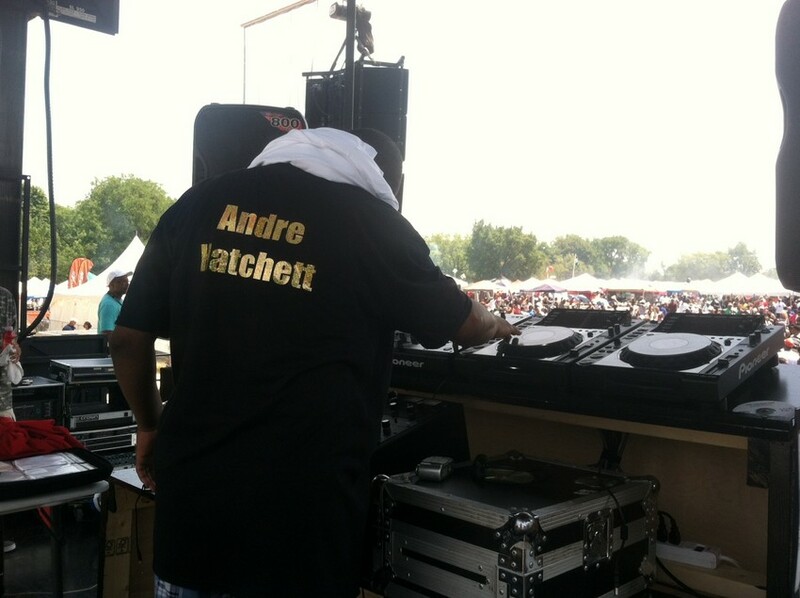 The picnic was started in 1990 by The Chosen Few, a DJ collective founded by brothers Wayne Williams and Jesse Saunders - the same guys who are known for bringing house music out of the gay clubs and into the South Side club scene. 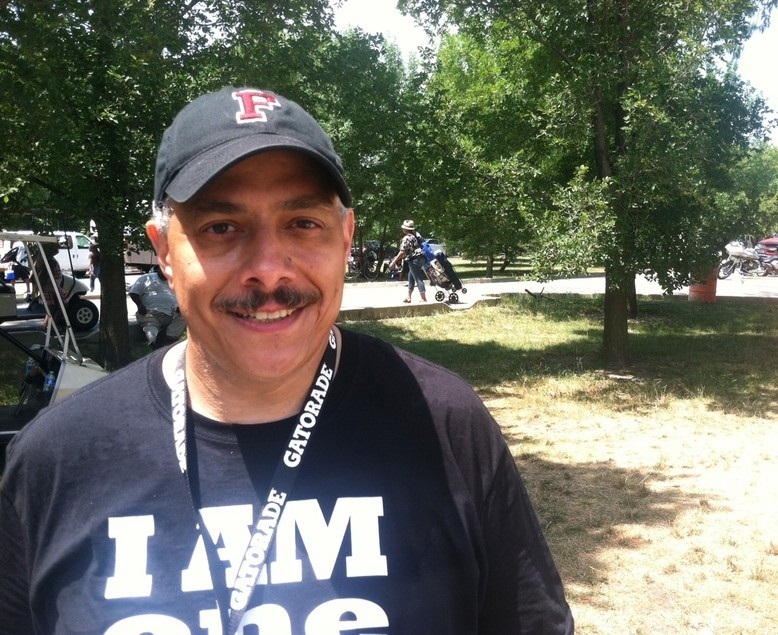 Alan King is an original member - he says the picnic was their way to reconnect with friends and family. "You know we started literally with 40 or 50 people in the park, and to see what it has grown into makes it very special," King said. About 50,000 were in attendance this year. But King said they try to keep the original vibe in place. "It really has a family reunion atmosphere to it, which we work very hard to preserve," he said. "You get to see people you haven&apos;t seen since high school or college, your fraternity brothers and sorority sisters. It really is the most enjoyable event I get involved with." These days the fest has corporate sponsors and celebrity hosts. But most people are still there to dance. When Alan King spins, he gets the crowd going. Thousands of people danced in front of the stage, and as he brought the music level up and down, chanted in unison. But not everyone in Jackson Park is feeling the love. Deleshea Carter is from California. "I&apos;m not used to the culture, so all of this is new to me," she said. When asked what&apos;s different Carter says "The music! It&apos;s that constant same beat that makes you want to beat your head into the ground," adding that she&apos;s there mainly for her boyfriend, Marcus. But he thinks she&apos;s missing the point: "It&apos;s not about what I want you to do &apos;cuz I&apos;m not the music. The music is telling you what to do," Marcus said. 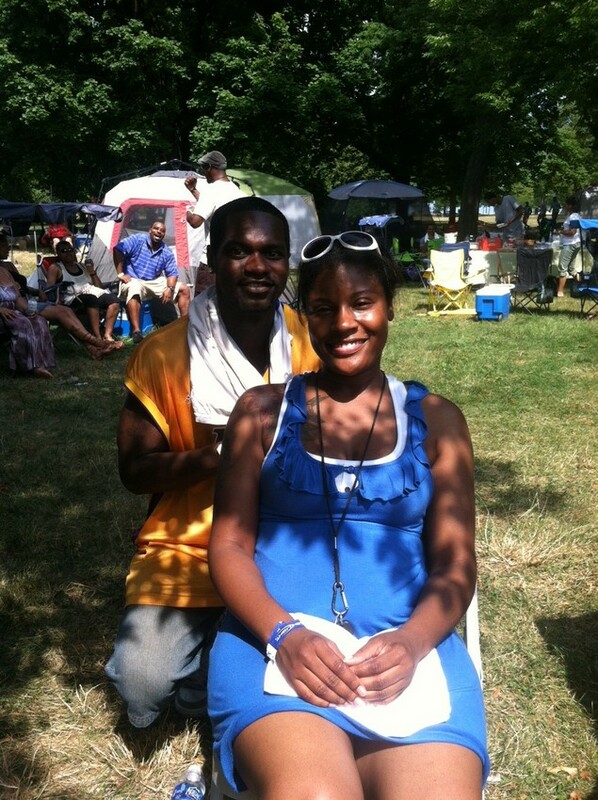 Palatine residents Kalesha Byrd and Nathan Leonard grew up around house, so they&apos;re familiar with its beat. But they think it&apos;s the sense of community that makes the festival such a great time. "I see people of all shapes, sizes, forms and colors just having a great time," Leonard said. "And you really don&apos;t get to see that anymore." And even though this is their first time at the Chosen Few, from the sounds of it, they&apos;re hooked. "Oh yeah, oh yeah, oh yeah, good music!" Leonard said. "I love it. I&apos;m coming back next year!" Byrd said. By the way WBEZ blogger Lee Bey took some great photos at The Chosen Few: check them out here.